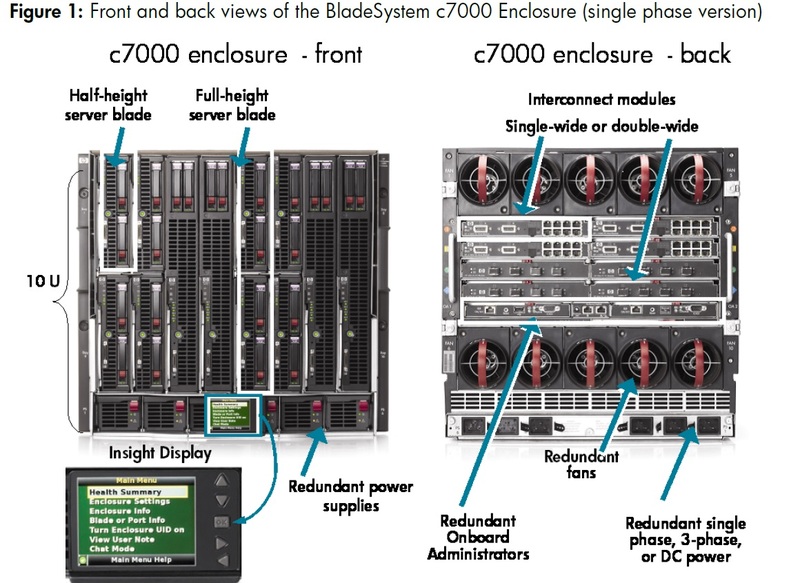 How to Physically Reset Blade in HP C7000 Chassis through Onboard Administrator CLI? I was working on one of the zoning issue where Storage team were unable to see VFC(Virtual Fibre Channel) interface on FCoE switch in one of the blade in HP Chassis C7000. After all dig and downs, we came to conclusion to reset the blade physically. Now, what if we don't have anyone available in Physical Datacenter? Do we have any option to perform this through remotely? Before proceeding, get IP address or hostname of Onboard Administrator. Enter OA IP Address or Host Name as shown below. 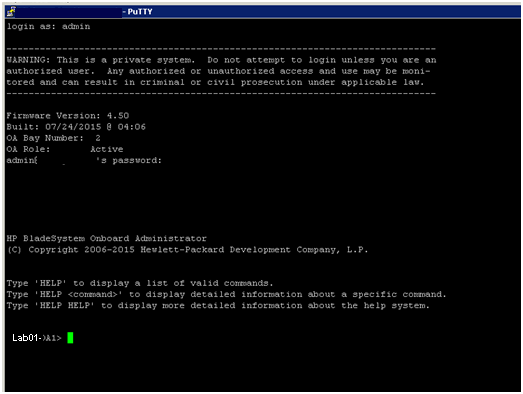 Enter Admin User Name and Password in Putty Console. List out the servers in chassis and reset server by using below command. Once you will execute above command, it will show below warning, type YES to proceed. It will show message "Successfully reset the E-Fuse for device BayNumber"
Now it will successfully reset server in Bay 7. Server will reboot and come back automatically on login screen.